A video playthrough of Dragon's Lair Time Warp, the classic animated arcade game. Follow Dirk the Daring as he chases Mordred through time, as he searches for the princess Daphne. Dirk travels to the Garden of Eden, into Wonderland and back in time, and many other fantastic places. 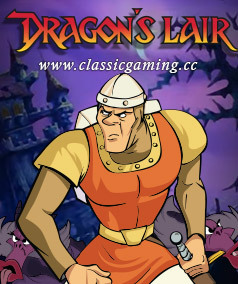 Read about Dragon's Lair the Movie.